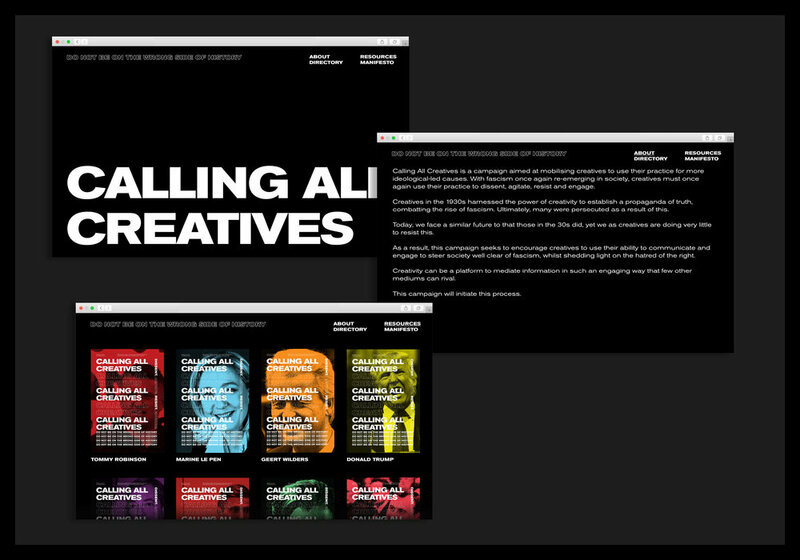 Calling All Creatives is a campaign aimed at mobilising creatives to do more ideologically-driven work. The campaign takes inspiration from the 1930s, when creatives would work collectively for the benefit of society, to eradicate fascism. Starting with an integrated campaign, Calling All Creatives wishes to instigate a new strategic positioning of ethical design. 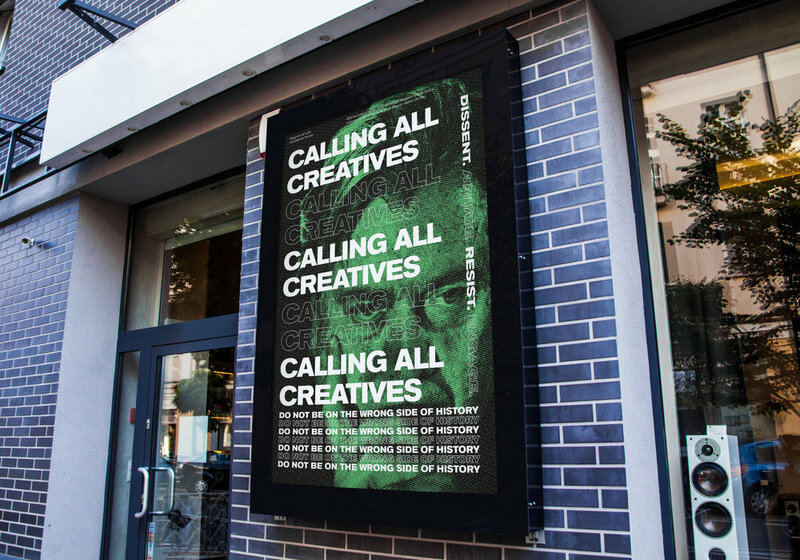 As a vehicle to initiate this process, Calling All Creatives seeks to inform and engage creatives in an attempt to proliferate the practice of work that’s more ideologically focused, whilst giving creatives the resources and coordination to achieve this.